How To Race Pigeons - True Racing Secrets Revealed! It's time the tables were turned. 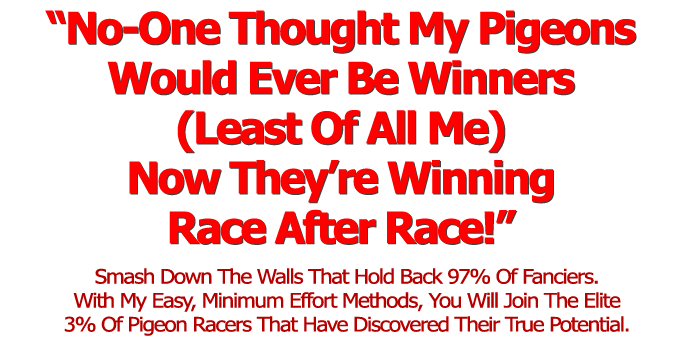 It's time that you were given the keys to the pigeon racing secrets that you have always been denied. It's time you learned the amazingly simple secrets that keep top racing pigeon fanciers winning race after race and stop people like us from having a chance (until now!). 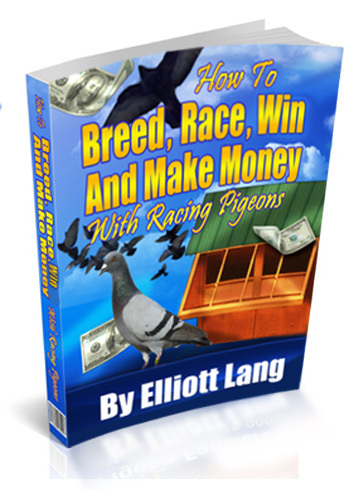 My name is Elliott Lang and I want to show you the quick and easy method you have to follow if you want prize winning racing pigeons. "How are these other pigeons consistantly beating me time and time again? Their birds look healthier, happier and perform much better than I can ever dream of mine doing!" Don't worry, I was in the same boat until a good friend of mine opened up the vault doors and let me in on the secret methods they'd all been using. I'm offering you a guide to push you out of your rut and start racing your birds in a way that's going to send shivers down other fanciers' spines! Did You Know That The Top Fanciers Win Over $29,000 (£20,000) for a SINGLE Pigeon Race?! I'm not saying you will definitely win this kind of life-changing prize-money but, by improving your training and breeding methods, you will stand a much better chance of walking away with a well-earned reward for your passion. Don't you deserve to be a winner too? I am sure you have heard them tell you that there is a lot of money to be made in racing pigeons. They won't tell you why it's always their racing pigeons that win all the money! So, my name is Elliott Lang. I’ve been breeding racing and homing pigeons for 50 years now. It’s a skill that’s been handed down to me by my father. In the beginning though I wasn’t interested in Pigeons. In fact I thought my father was a little strange spending all his time with those birds. Shortly after the second world war though something happened to pique my interest in ‘those birds’. As you know homing pigeons were used with devastating success to get messages and micro photographs from behind enemy lines during World War Two. Many downed airmen and others owe their lives to the skill of the pigeon fanciers and courage of these birds. And the army has handed out many awards of honour in their dedication. My father was one of the fanciers whose job it was to receive the messages and pass them on to higher command... And after the war he bought a couple of pigeons of his own. Something about this sent my heartbeat racing. ... and started to imagine I was my father receiving a message from a secret agent in occupied France. I now understood how he felt. My interest was stimulated and I eagerly opened the message. Three words from my father: “Thank you Elliott” it said. I owe most of my knowledge to my father and all the other ‘old timers’ I’ve spent countless hours with eagerly picking every last scrap of wisdom from their brains. Together we’ve shared our successes and our failures and now -- as I promised you -- I’m going to share the years of accumulated wisdom with you. So you can enter your selected birds in the next race and know you’ve got the best chance ever of taking home the winning cheque. 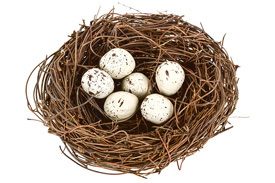 You will discover how to really understand your birds, how to select the ‘winners’, how to exercise and train them... What is the best diet, how to ensure the strongest eggshells... the best breeding pairs and much more. Now you too could be in the runnings to win that much-coveted first place with your prize winning birds. When you follow the steps outlined in this master plan, your next big win could be just around the corner. For your convenience it’s in instantly downloadable pdf format and is print enabled so you can print a copy. In fact I urge you to print out a copy so you get the utmost benefit from it and can refer to it at any time. Soon you’ll be breeding and racing winners like a seasoned old pro. Why detailed record keeping is an absolute must if you want to improve the quality of your race winners. 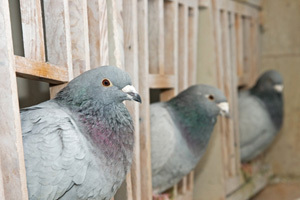 Some of the top pigeon fanciers use these tips ‘n tricks to consistently produce big race winners. Clearly when you follow these tips ‘n tricks it will have a distinct affect on your success as a top breeder. You'll discover the tightly kept secrets that ace pigeon fanciers use to breed race winning birds that net them those cash prizes. Follow in the footsteps of the professionals and start seeing your pigeons at the top of the leaderboards. Obviously you’d expect a book of this stature to retail for over $50, when you think of it's potential. And yet, as this is a newly launched volume I WON’T ask you to invest $67 or even $47 for that matter, though it’s surely worth that. For a limited time only I’m going to give you “How To Race Pigeons ” at the enormously generous price of only $29.97. However, do NOT rest on your laurels and think that this eBook will be at this insanely low price forever because the price might be increased soon. You remember I told you earlier that knowledge was key? 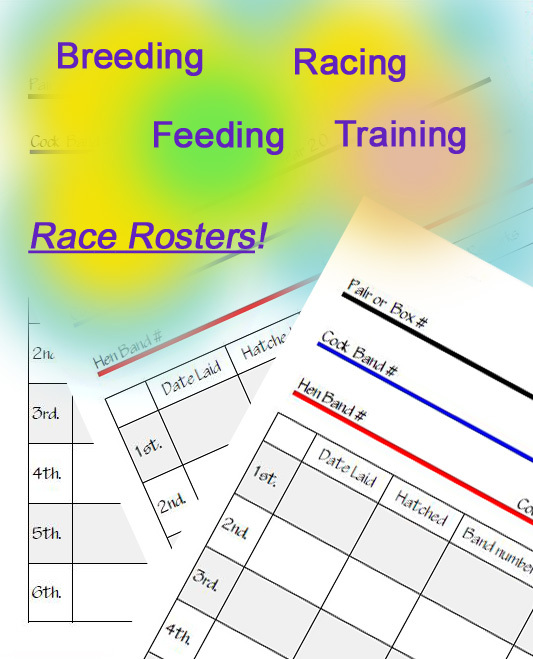 Well record keeping is one of the foremost ways of increasing your knowledge of your racing flock. So to make it easy for you to keep the detailed records... and allow you to breed race-winning birds in the shortest possible time you will get -- absolutely FREE -- a specially designed record pack. All in printable pdf format so you can download them instantly and read them on any computer. This is a $27 value but it’s yours absolutely FREE when you order today. “If I ever get the chance to thank Elliot in person I'll jump at it! Elliot knows pigeons! After reading the manual, and looking at the bonuses I was really happy with it. I printed it out for easy reference, which I could not do with another product I had downloaded. It was easy to see what my pigeons needed to be more competitive. I now understand what I was doing wrong with selecting, breeding and feeding. Easy to read and well worth the price. If I ever get the chance to thank Elliot in person I'll jump at it!" "Elliot knows what he's talking about when it comes to racing pigeons..."
"Elliot knows what he's talking about when it comes to racing pigeons; he has helped me understand what I was doing wrong with breeding and looking at the lineage of my birds! Having the record keeping guide makes keeping track of my birds a breeze. 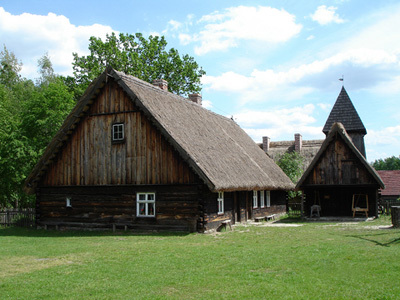 That insight and the free record sheets saves me a ton of time and was more than worth the price." "I am finally in the money!, Won $xxxx* with 2 of my birds last weekend!" I was doing it all wrong with the info I was using for breeding and looking at the lineage of my birds! Having an accurate, logical and really easy record keeping routine in practice makes keeping track of my birds a breeze. I am finally in the money!, Won $xxxx* with 2 of my birds last weekend! Clearly this is an astounding value for a person that wants to make real headway in breeding winning pigeons! That’s $94 worth for only $29.97! Clearly this is an extraordinarily generous offer that you’ll obviously want to snap up right away. Day after day, year after year these ace pigeon fanciers breed race-winning birds... and win high ticket races with ease. Is it any wonder they are so rich? Now the tables are turned... with this super book you get your chance to breed birds that will wipe the smile from their faces and show them that they no longer rule the roost. Obviously you are careful when ordering online and want to ensure you are safeguarded against loss. So I pledge that I will give you a full 100% refund any time up to 60 days after you order. This means you have 60 full days to try out all the tips ‘n tricks and start breeding stronger, more powerful race winners. If for any reason or no reason at all within the 60 day period you decide to opt for a your money back, you only have to ask and I will rush you a full 100% refund. No questions asked. "This is a great resource, better than surfing all over the web..."
I was sent this site as a link from a fellow pigeon fancier. 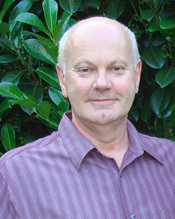 "This is a great resource, better than surfing all over the web. Just the manual is worth the price and so easy to read and understand what are the right ways to buy, sell and raise racing pigeons. 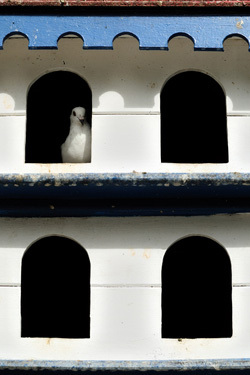 I am looking forward to raising my own pigeons soon!" Yes Elliott, I want to become a top pigeon fancier. I want to breed the best birds I possibly can and I would LOVE to win race after race. I have seen and am grateful for your extremely generous offer. 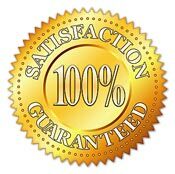 I have seen and am grateful for your 60 day 100% money back guarantee. I have nothing to lose because you shoulder all the risk. On that basis here’s my $29.97. Please rush me the download link so I can get started breeding race-winning birds today. Don’t delay. I will not be keeping this at this insane price forever. If you don't order it today then you will not be guaranteed this amazing price. 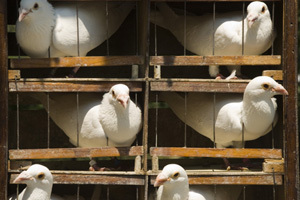 Don’t let the old timers bamboozle you with the mysteries of breeding ‘Big-Money’ pigeons. It’s much easier than they let on. 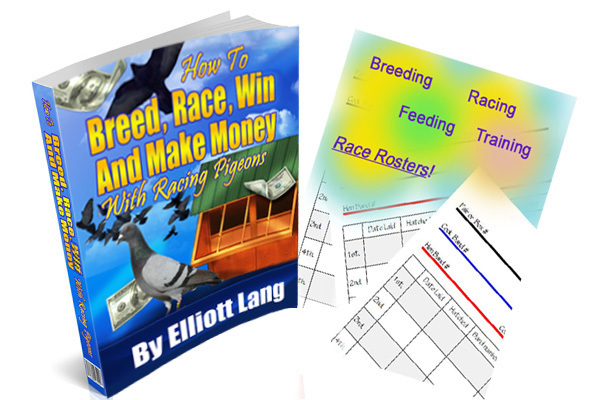 Grab your copy of “How to Breed, Race, Win and Make Money with Racing Pigeons” today and beat them at their own game. This is an extremely generous offer... $97 in value for only $29.97. You’ll want to snap it up this instant.